How did the interaction of three worlds transform human societies? How were the worlds of America, Africa, and Europe alike and different? How and why did the three worlds meet? 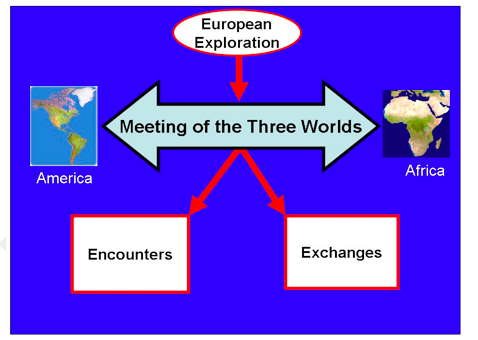 How did Europeans, American Indians, and Africans view the meeting of their three worlds? Ancient West African History Teaching and Learning Modules. National Museum of the American Indian Book Store.